With the start of FIFA World Cup just a day away on June 14, many fans will be looking for streaming sites where they can watch the matches taking place at Russia 2018. If you are one of them it is important that you understand the security risks that you will be exposed to if you do not take sufficient precautions. 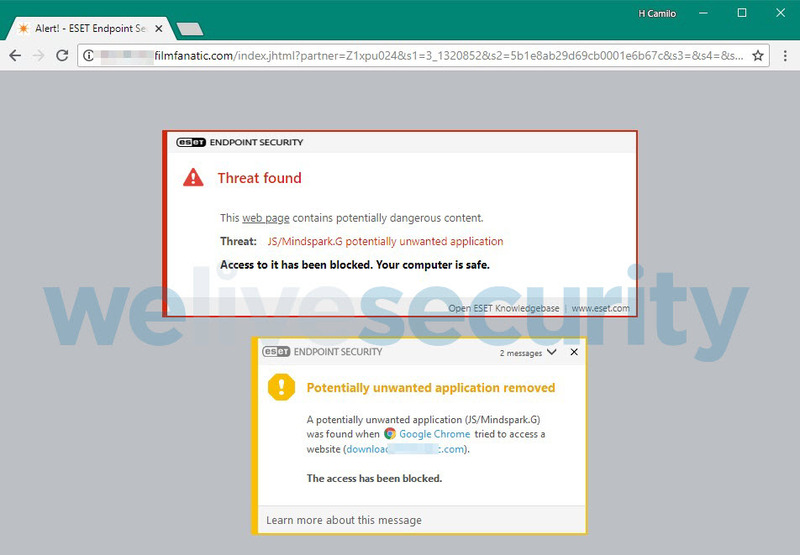 Several of these sites are illegal (piracy issues) and many are used by cybercriminals to disseminate campaigns that go beyond the traditional scams that are spread by email to compromise users’ devices. 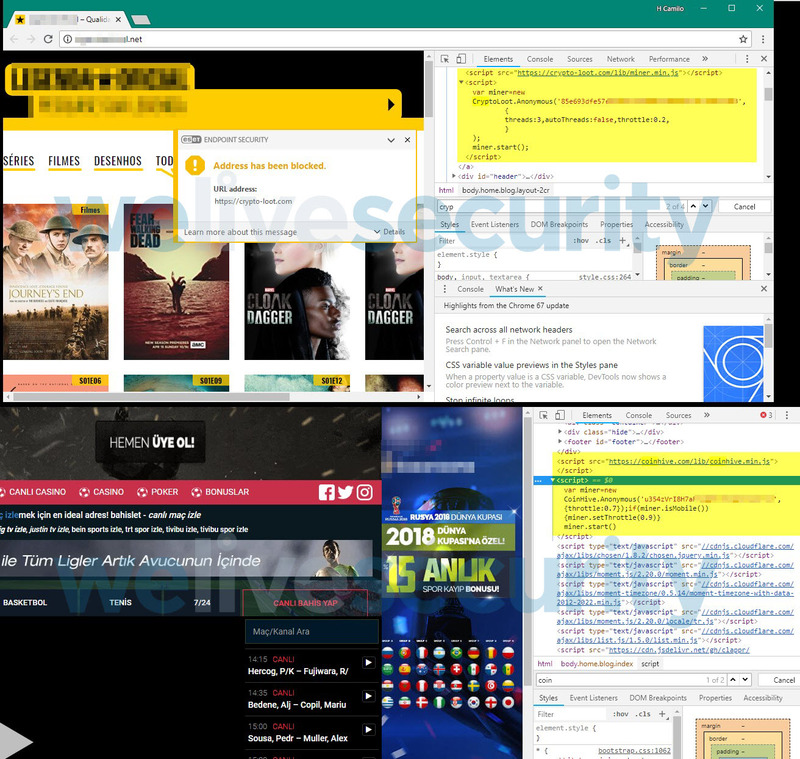 It should be noted that not all these sites have a malicious component. 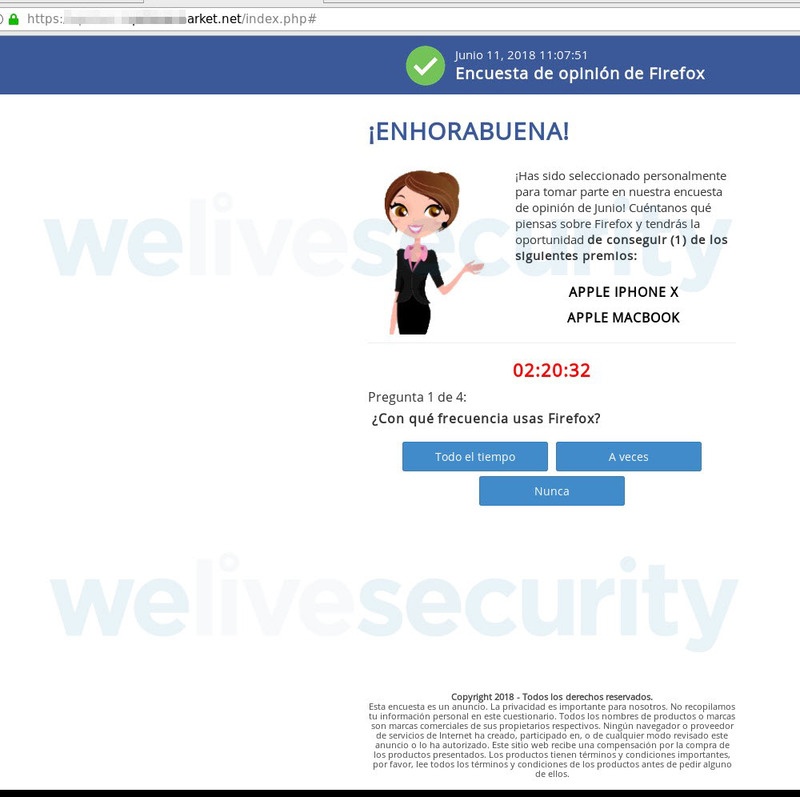 Even so, the examples that we will show are some of the threats that appear with greater recurrence after searching the first ten pages of search results. On some of the sports streaming pages, once the user enters they are automatically redirected to other websites with social engineering campaigns that seek to trick them into stealing personal information. 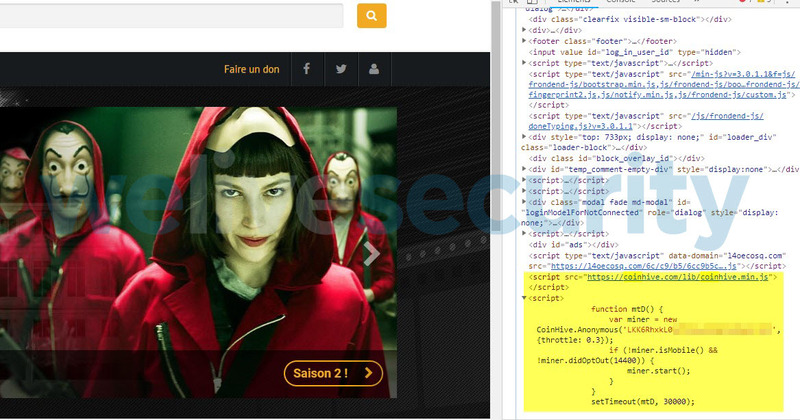 On some sites, just entering the browser automatically redirected us to two social engineering campaigns. The first consists of a supposed survey and the possibility of winning a ‘prize’. This is done with the sole intention of knowing what browser the user is using. Once the user completes the survey, the possibility of winning the last available device in the day’s draw is offered as a “reward”. In the end, the only thing that the user is asked to do is to make a minimum payment to have the ‘prize’ delivered. No matter how many times you try to enter your credit card number the user will be met with a message telling them that the payment was not authorized. The only people who really win, however, are the ones behind this campaign, as they keep the credit card details. 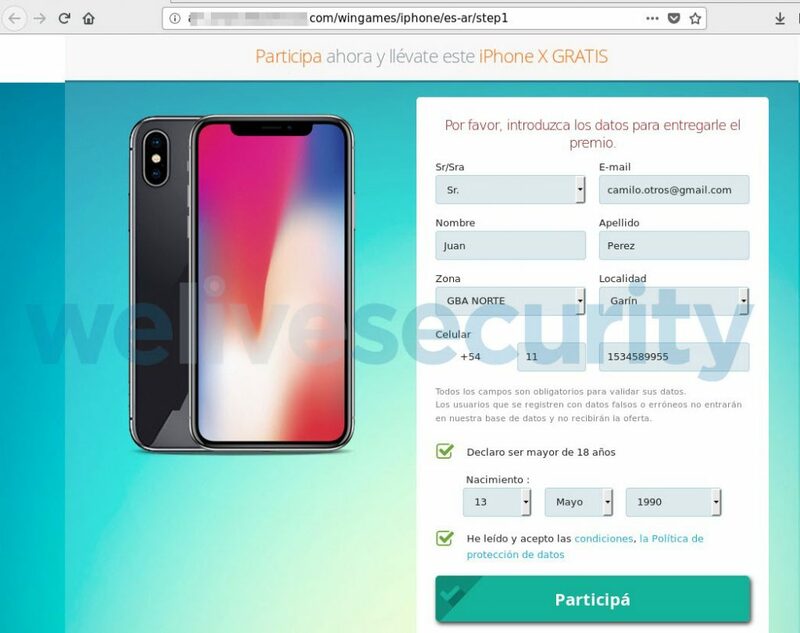 The second campaign that uses the social engineering format tries to convince the user to enter their cell phone number and their personal identification document (along with other personal information), which usually ends in a subscription to SMS Premium messaging services. If you thought that using a mobile device would spare you from cryptocurrency miners, we have some bad news for you as some miners come prepared exclusively to mine on this type of devices. While the above site was not related to the streaming sites used to watch soccer matches, it did, however, show up in the results of the initial search. As we said at the beginning of this article, these are just some examples of what a user can find when surfing the internet looking for streaming sites to watch World Cup matches. 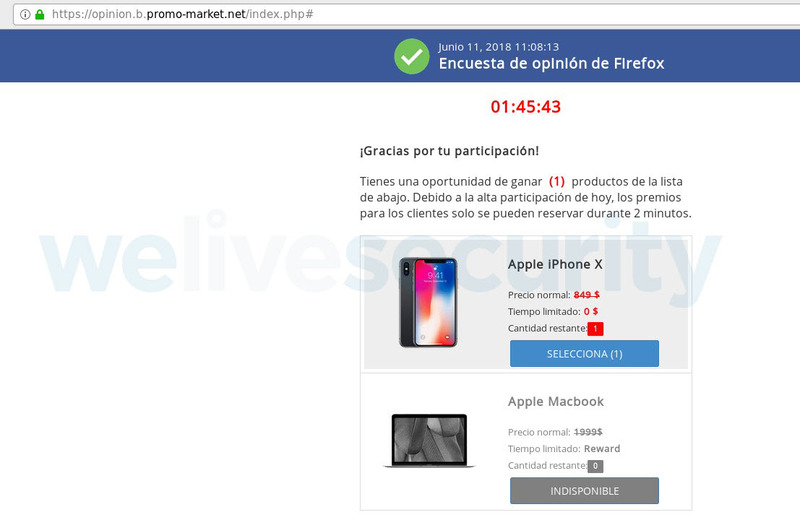 While not all the sites we visited had malicious behavior — beyond an excessive burden of annoying advertising — some did register behaviors that pose some risk to the user. This post is not intended to be an exhaustive study of everything that the user can find but merely a simple example to show how close threats are when trying to find a stream to watch soccer. If you do intend to watch the action via streaming sites we strongly advise the importance of being protected with a security solution when doing so.